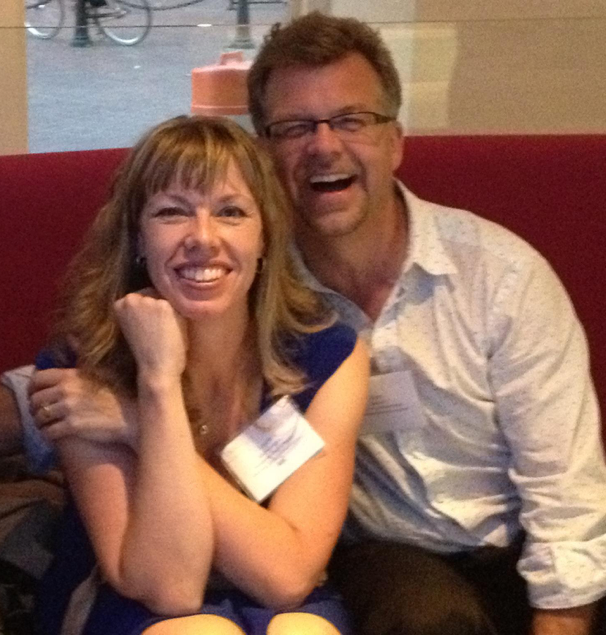 Laurie Dawkins, ABC, MC, has been a member of IABC/BC for 23 years. Throughout these times she’s been a consistently active member of our vibrant chapter and has won many awards with her superstar communication colleagues at Vancouver Coastal Health. She inspires many around her, and I decided to catch up with her over coffee to learn more about her time with IABC/BC and her recent accolade. Laurie’s IABC/BC path began as a student member in 1994 when she was a co-op student at Karen Lee’s agency: KJ Lee Agency. Karen bought her a student membership and took her to the Wave Awards that year. Laurie recalls, “I watched her team win award after award and I was in awe.” After buying Laurie her student membership, 23 years later, Karen Lee, ABC, MC, was one of those who wrote a letter of support for her Master Communicator nomination. Within a year of joining, Laurie was actively involved in the chapter and volunteered for well-known chapter member Gary Carr, who was the IABC/BC Student Services Director at the time. Through Gary, Laurie met Jennifer Wah, ABC, MC, Fellow, when she stepped in for Gary at a board meeting. “I was so earnest with lots of notes and after I’d finished speaking, Jennifer smirked, tossed me a candy and said that I was way better organized than Gary, and that I should come all the time”. And after various committee roles, she joined the board. 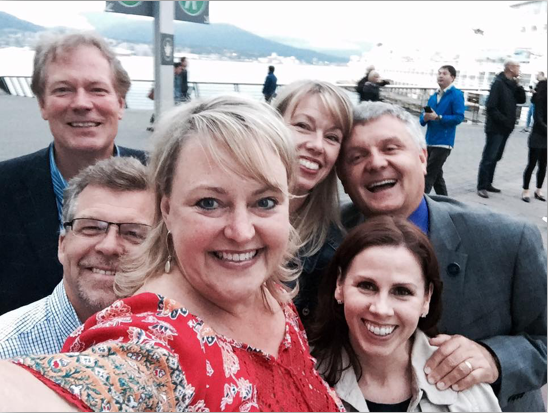 In 1999-2000 Laurie was the Student Services Director and the Volunteer Relations Chair for the Hospitality Task Force when Vancouver hosted the IABC World conference: “This was a game changer for me, being immersed into that level of intensity. 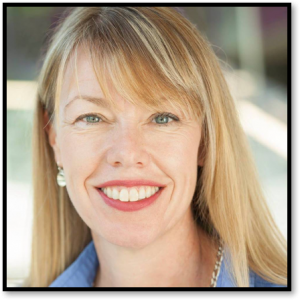 Finding 150 volunteers in 9-10 months as part of the local hospitality committee for World Conference.” She took on an even bigger international role in 2005 when the World conference returned to Vancouver and she served as Chair for the overall Hospitality Task Force. During her time on the board she held two director roles, was Executive Administrator twice and did the Presidency track (Laurie was President in 2004-2005). She’s sat on numerous committees, been a mentor, an exam proctor and has been a judge for IABC Awards programs countless times. On top of this, she has held several local and international co-chairs positions including co-chair and fabulous host for our most recent Wave Awards. Collectively, her volunteer contributions have spanned local, national and international boards, projects, committees and awards programs. “In 2002, while I was working at UBC, Peter Roaf, ABC, MC, (who I’d volunteered with for the World Conference in 2000) was building a team for Vancouver Coastal Health (VCH). He called me and invited me for an interview. I showed up with my portfolio of work samples, and waited for all the questions, but they had already made up their mind about me…They said ‘we know you can do it, we just want to hire you.’ But I said no because I was pretty sure the job was over my head.” Peter Roaf called her 24 hrs later asking her to reconsider…and 15 years on, Laurie is still at VCH. One man in particular came up a lot in our discussion when we discussed VCH: Clay Adams, ABC, APR. VCH won the IABC Not for Profit Communications Department of the year award in 2017. It’s a team honor recognizing the great, award-winning work over the past several years, as well as some of their most recent Gold Quill Awards for projects in employee engagement, audio/visual and photography skills and internal communications. VCH was also nominated by IABC in this category in 2015 and 2016 – a testament to Laurie, Clay and the larger team of talented communicators who make up the VCH Communications & Public Affairs team. Laurie: “I’ve never seen a group of people so willing to put aside their own priorities to help someone in the moment. That’s very rare. They are a talented resourceful team”. 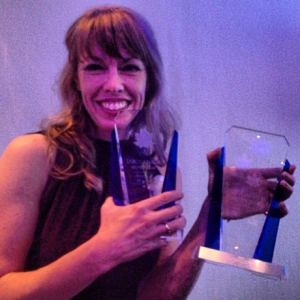 Since then Laurie on her own, and with her VCH team, has been the winner of numerous awards. She’s been personally involved in 22 wins including 5 Silver Leaf Awards and 2 Gold Quill Awards, in the past year. 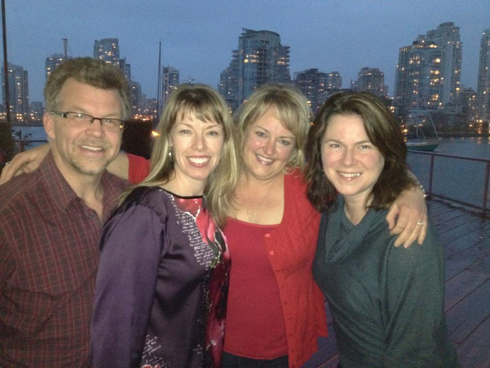 Since earning the designation of Master Communicator, Laurie has been reflective of how much IABC/BC has given to her. An element of this post is to share Laurie’s profile as an example of a tenured member in IABC/BC. But also we really want to say Thank You Laurie – for your continued leadership, mentorship and contributions to the local chapter. 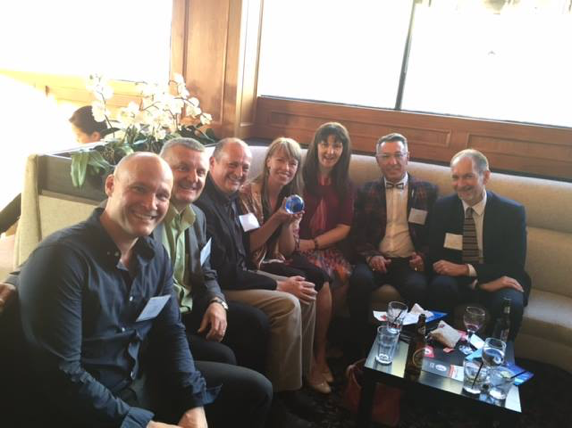 You can meet Laurie and many of our other talented senior members at our many networking and PD events throughout the year.